When looking for your next escape to the beautiful, sandy white beaches of the Emerald Coast; look no further than “The Remedy.” Situated along the east end of picturesque, Scenic Highway 30A in the community of Seacrest Beach, this stunning vacation home is the cure for the everyday blues! This spectacular four bedroom, four bathroom home is perfect for your extend family vacations as it features dual masters! Second and third story porches on both the front and back of the home make up over 1,400 sq feet of outdoor deck space and are great for enjoying your morning cup of coffee. The back porch on the third story features a well equipped outdoor kitchen, a large patio with ample seating and beautiful views of the Gulf of Mexico! 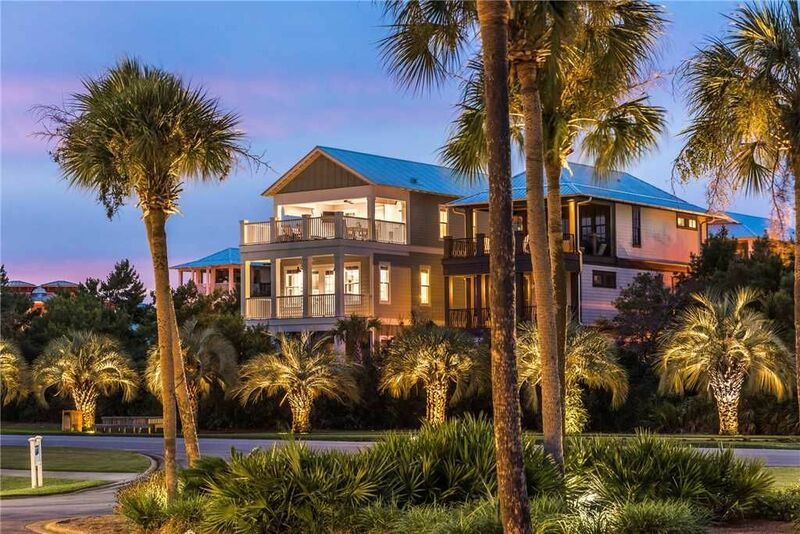 The home is ideally situated adjacent to Scenic Highway 30A at the front of Seacrest Beach between Rosemary Beach and Alys Beach. You are a five minute walk away (1500ft) from sinking your toes in the frosty white sand. If you are not in the mood to walk, the Community of Seacrest Beach offers a comprehensive tram system will pick you up at the stop located outside your front door and drop you off at the walkway that takes you to the beach. If you need a break from the beach, but still want to enjoy some fun in the sun then head on over to the 12,000 square foot lagoon pool – the largest pool on 30A! While you're lounging by the pool, pick up something to eat and some ice cold beverages from the Seacrest Café! After a fun day frolicking at the beach or in the lagoon pool, share a delicious meal with your family and friends at one of the many restaurants a short walk away. Each of the nearby communities of Alys Beach, The Village of South Walton, and Rosemary Beach feature a number of fantastic restaurants offering fare that will appeal to everyone's palate. After your meal, browse through the nearby shoppes to find the perfect remembrance for your favorite beach vacation! At the end of the day, when you’re ready to recharge your batteries, “The Remedy” has just what you’ll need. The first floor master features a king bed and ensuite bathroom with a full size shower and bathtub. The first floor guest room is outfitted with a queen bed and an ensuite bathroom with a shower/tub combo. The second floor bunk room features two twin over full bunk beds and two trundles and access to the second floor bathroom with a shower/tub combo. When you ascend to the third floor, you have the second master with access to the third floor bathroom that has a stand up shower. The third floor living space features a queen sleeper sofa.